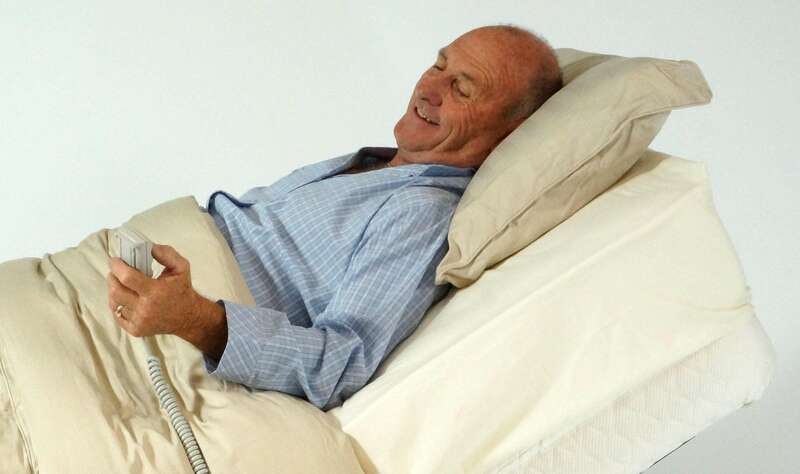 Having a meal in bed, watching television, reading or just need to elevate your back? Easy, at the touch of a button you can electrically lift your back to any position. Some companies are still promoting and selling manually adjustable beds. The obvious issue with those products is that you will have to stand up and manually adjust the head section to the required position, than go back to bed. If you’re still not comfortable, you’ll need to go through the procedure again and again. This is not an option if you have mobility problems or simply looking for comfort. We do not recommend using manually adjustable beds. Call us on 1800 648 648 for free advise or make a booking for an obligation-free home demonstration. You are also welcome to visit one of our showrooms. Adjust your back at the touch of a button. With the PLEGA Back Lift Electric Adjustable Bed you can effortlessly adjust your back to any position you desire with a simple controller. This is the ideal product for you If you do not need separate legs adjustment function. 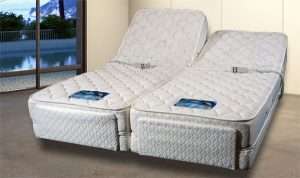 You may also be interested in our Fully Adjustable Bed or the Hi-Lo Adjustable Bed.